Never have the misunderstanding that we get to God by our own efforts. No one has ever gotten to Wahiguru because of their own efforts. 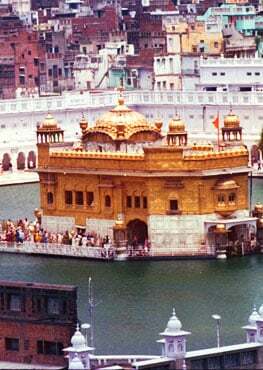 They've gotten to Wahiguru because of the Kirpa of the Satguru (Grace of the True Guru). We make spiritual effort so that Guru with be happy, then out of Mercy they bless us. Our understanding and our actions are limited. How could these get to something that is limitless? It is because Guru extends his hand. Sometimes we take Sikhi for granted. So how do we become like those who had so much longing and love? First we have to know the significance of the True Guru. Guru Granth Sahib says, "GurParsad Prabh Paiye, Gur Bin Mukt Na Hoi." 'It is by Guru's Grace that we meet God, without the Guru there is no liberation.' In the past there has been many types of Gurus. They were not completely perfect. Some of them would come under the influence of the five vices because they were not the perfect incarnation. So let's look at it from a technical standpoint. What is the best possible guru? The highest status among all of creation and infinity is the Deathless Lord Itself. That is the only one that is higher than maya. Then technically the best guru is if that Akal Purkh takes the incarnation of a Sat Guru. And that is Guru Nanak Dev ji. We have Sikhi given to us on a silver platter. Sometimes we wish we would have been born in the time of Guru Nanak, or lived during the time of Guru Gobind Singh. But listen! You are born during the time of the Guru. You are alive during the time of Siri Guru Granth Sahib Ji Maharaj! What will happen if you let this opportunity go and don't recognize what we have and love the Guru! There are two forms of God. Parbrahm Parmesar and Guru Parmesar. Simply said God is the OverSoul Sumpreme Being and Guru Nanak is the Guru Supreme Being. What we have to do is attach to the Guru aspect, that is our route to God. Human beings have the light of bliss, that is what we realy are. When that light comes in the body it is still looking for that bliss, but because of maya we are dilluded as to what that bliss is and how to get it. We think that bliss is in songs, or is in watching movies but that kind of bliss never lasts. Actually those are 'khushiaa' (happiness) and not actually 'anand' (bliss). The nature of the Universe is such that happiness has an opposite. Happiness will always invite sorrow. But bliss has no opposite. We are not really looking for happiness, we are looking for bliss which simply is. And that is what Siri Guru Granth Sahib Ji gives us. This is the Guru that we endeavor to please. But if we don't happen to feel love inside when we see the Guru what do we do? Guru teahes us "Amrit Vela Sach Nao, Vadiayi Veechaar" 'In the early morning is a great meditation for the True Name'. There are jewels that are available in Amritvela. You can spend the whole day what you could get in one moment in amritvela. If you have mental breakage, if you are spiritually low, if your mind and heart are broken, they are mended in amritvela. Karmic blocks, things that hold us back that we don't even see, they are fixed in amritvela. There is a supreme blessing called discernment, the ability to live within maya but not be subjected to it, that blessing comes in amritvela. But above all, the main reason is that it makes Guru ji happy. When you are about to press the snooze button, don't do it. The historic importance is huge. When Guru Gobind Singh was leaving the siege of Anandpur Sahib it was dark out, wet from a thunderstorm and the river was raging. Behind them was blood thirsty soldiers who wanted their death, on either side was unforgiving rough terrain and under them is hard, cold rock. It was under these conditions that Guru ji told the Sikhs to wait. The Sikhs asked why wait under such extreme circumstances. 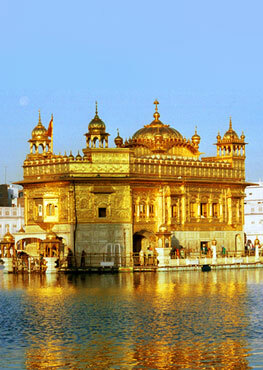 He said that it was amritvela, it was time to read Gurbani and sing kirtan, as is the daily practice. We never had any situations like this in our life, that someone is chasing us to death on the banks of a raging river. So we don't have an excuse. Hurt your mind, hurt your body, but do get up.